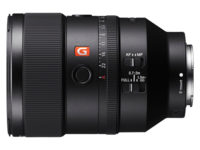 The new Sony FE 135mm f/1.8 G Master was just announced and photographers are excited about it. In this video, learn more about the capabilities of this newest addition to Sony’s lineup of full-frame E-mount interchangeable lenses. “So my only key for this lesson is just to be ready, even when you’re going to the bathroom.” Learn more photography advice from Sony Artisan Ben Lowy as he talks about his creative approaches to photographic storytelling on Sony's main stage at the 2019 Consumer Electronics Show. Live from the Sony Stage at CES 2019, Sony Artisan Brooke Shaden discusses how and why she creates the images she does. Using the tools at her disposal, she changes how you view an image until it matches what she saw in her imagination from the start. Alpha Collective member Jake Chamseddine (@JakeChams) is a music and lifestyle photographer and videographer. Here he shares what it’s like touring with Panic! At The Disco and how he manages to get his intense concert shots on tour. Dan and Sally Watson try out the new Sony 135mm f/1.8 G Master and report that it has some of the best image quality they’ve ever seen in a lens. See more about their findings and some of the images and videos they captured. Sony Artisan of Imagery Miguel Quiles takes a comprehensive look at the new Sony 135mm f/1.8 G Master lens. Testing it in a variety of photo sessions in studio and on location, Miguel shares his thoughts on how it performs in the real world. “Designed for longer portraits, this has some of the best optical rendering that I've seen on any lens to date.” In this video, Ted Forbes discusses the new Sony 135mm f/1.8 G Master lens and why he quickly fell in love with it.